Prior to joining Vantage Point Advisors, Inc., Steve Schenk was with LECG where he provided expert witness testimony and litigation support services in areas of business valuation, marital dissolution, bankruptcy, lost-profit analyses, and the quantification of economic damages. In addition to expert witness testimony and litigation support matters, he has performed valuations for estate and tax purposes, ownerships transfers, financial reporting purposes and various consulting matters. Mr. Schenk was an Associate Managing Director at Kroll Zolfo Cooper where he led engagements involving business valuation, solvency analyses, fresh-start accounting valuations, 363 sales, ASC 350 and 805, and lost-profit analyses. He began his career with PricewaterhouseCoopers. Mr. Schenks experience has included companies in a wide range of industries, including asset management; hospitality; software, healthcare; manufacturing; commercial and residential construction; professional services; transportation; communications; energy; and airlines. Mr. Schenk graduated from Brigham Young University where he obtained a BS in Finance, and received his Master of Business Administration (MBA) from The Garvin School of International Management (Thunderbird). 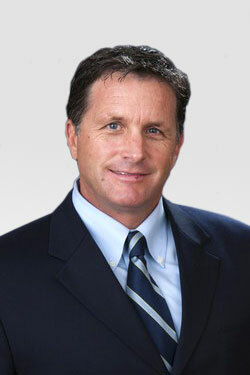 He is an Accredited Senior Appraiser (ASA) and a member of the American Society of Appraisers. Mr. Schenk is also a Certified Insolvency & Restructuring Advisor (CIRA) and a member of the Association of Insolvency and Restructuring Advisors.